December 27, 1822, Dole, France, 2:00 AM, LMT. (Sources: Sabian Symbols, Notable Nativities, and Gauquelin) Died, September 28, 1895, Saint-Cloud, near Paris. 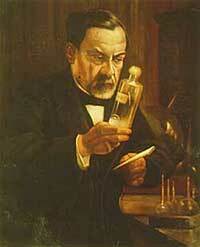 Louis Pasteur was one of the great chemists of the nineteenth century. He demonstrated the bacterial cause of many diseases—the “germ theory”. He can be considered the founder of preventative medicine. Discovering that bacteria caused anthrax, he developed a method of inoculation. He developed the process of “pasteurization” to prevent the spreading of disease through milk and other perishable liquid foods He founded the Pasteur Institute for the study of contagious diseases. Capricorn, here, bestows sheer tenacity for research into the microscopic world.. Third house stellium shows the intense focus of the mind. Libra, the Ascendant, is ruled by both Venus (orthodox ruler) and Uranus (esoteric ruler). These two are conjunct in Capricorn in H3. They indicate, in this instance, scientific powers (Venus transmitting the fifth ray and Uranus ruling orthodox science) and the strength of the observational mind. They confer the capacity to focus a beam of mental light leading to discovery. "Chance favors the prepared mind. "Whether our efforts are, or not, favored by life, let us be able to say, when we come near the great goal, "I have done what I could"When I approach a child, he inspires in me two sentiments; tenderness for what he is, and respect for what he may become." Let me tell you the secret that has led me to my goal: my strength lies solely in my tenacity" "It is surmounting difficulties that makes heroes. ""There are no such things as applied sciences, only applications of science. "“Science knows no country, because knowledge belongs to humanity, and is the torch which illuminates the world. Science is the highest personification of the nation because that nation will remain the first which carries the furthest the works of thought and intelligence." “Do not let yourself be tainted with a barren skepticism. ""In the fields of observation chance favors only the prepared mind. ""Where observation is concerned, chance favors only the prepared mind." The greatest biologist of the nineteenth century was (1822-1895). His work had both practical use and profound theoretical significance. On the practical side, what discovery in the history of mankind is more important than the germ theory of disease? As for theoretical significance, Pasteur disproved the widely held belief in the spontaneous generation of life. In a simple experiment using a sterilized flask with a bent neck, he showed that plain air cannot initiate the growth of microorganisms. A culture can grow in the flask only if germs enter it. "There is no known circumstance in which it can be confirmed that microscopic beings came into the world without germs, without parents similar to themselves," he concluded, in 1864 (3). demonstrated that life comes only from life. One can only wonder what the history of biological science would be if this principle had been taken as fundamental. Perhaps today we would still be unsure how life on Earth began. But if so, we would approach the question differently. We would assume that life here had to be seeded somehow. We would investigate possible mechanisms for this seeding. We would look for evidence that bacteria, the simplest known form of life, can survive in space, for example. We would look for means by which they could travel across interstellar space and for survive for the millions of years such trips might take. But history went a different way. People in the late nineteenth centory believed that Earth was biologically isolated from the rest of the Universe. Therefore, the spontaneous generation of life by natural means from nonliving chemicals was considered the only scientific alternative for explaining the origin of life on Earth. It is still the consensus, accepted with little questioning, even though the process has never been observed or even described in plausible detail. That life could have come to Earth from elsewhere is considered to be the extraordinary claim. But the situation may be changing. When asked by a wine company to explain why some wine turned sour whilst it was being made, the French chemist, , discovered that there were germs in the air that caused liquids to go off. He went on to develop a process which he called 'pasteurisation', killing the germs by boiling and then cooling the wine. Pasteur then set about proving that the germs came from the air and could therefore be prevented from entering the liquid in the first place. He demonstrated this by sealing a quantity of a liquid in an airtight jar and leaving another quantity exposed to the air. He used this discovery to help treat diseases and with the British doctor Edward Jenner he developed a process of vaccination against the killer disease, smallpox. Pasteur believed that his germ theory could be used to explain how vaccination worked. He examined the blood of healthy people and compared it with the blood of people with various diseases. He observed that when people were infected with disease their blood contained lots of germs. Pasteur's work was revolutionary and led the way for further research into type of germs causing specific diseases. born on December 27, 1822 in Dole, in the region of Jura, France. His discovery that most infectious diseases are caused by germs, known as the "germ theory of disease", is one of the most important in medical history. His work became the foundation for the science of microbiology, and a cornerstone of modern medicine. Pasteur's phenomenal contributions to microbiology and medicine can be summarized as follows. First, he championed changes in hospital practices to minimize the spread of disease by microbes. Second, he discovered that weakened forms of a microbe could be used as an immunization against more virulent forms of the microbe. Third, Pasteur found that rabies was transmitted by agents so small they could not be seen under a microscope, thus revealing the world of viruses. As a result he developed techniques to vaccinate dogs against rabies, and to treat humans bitten by rabid dogs. And fourth, Pasteur developed "pasteurization", a process by which harmful microbes in perishable food products are destroyed using heat, without destroying the food. Each discovery in the body of Pasteur's work represents a link in an uninterrupted chain, beginning with molecular asymmetry and ending with his rabies prophylaxis, by way of his research in fermentation, silkworm, wine and beer diseases, asepsis and vaccines. In 1847 at the age of 26, Pasteur did his first work on molecular asymmetry, bringing together the principles of crystallography, chemistry and optics. He formulated a fundamental law: asymmetry differentiates the organic world from the mineral world. In other words, asymmetric molecules are always the product of life forces. His work became the basis of a new science -- stereochemistry. At the request of a distiller named Bigo from the north of France, Pasteur began to examine why alcohol becomes contaminated with undesirable substances during fermentation. He soon demonstrated that each sort of fermentation is linked to the existence of a specific microorganism or ferment -- a living being that one can study by cultivation in an appropriate, sterile medium. This insight is the basis of microbiology. Pasteur delivered the fatal blow to the doctrine of spontaneous generation, the theory held for 20 centuries that life could arise spontaneously in organic materials. He also developed a germ theory. At the same time, he discovered the existence of life without oxygen: "Fermentation is the consequence of life without air". The discovery of anaerobic life paved the way for the study of germs that cause septicemia and gangrene, among other infections. Thanks to Pasteur, it became possible to devise techniques to kill microbes and to control contamination. Emperor Napoleon III asked Pasteur to investigate the diseases afflicting wine which were causing considerable economic losses to the wine industry. Pasteur went to a vineyard in Arbois in 1864 to study this problem. He demonstrated that wine diseases are caused by microorganisms that can be killed by heating the wine to 55deg.C for several minutes. Applied to beer and milk, this process, called "pasteurization", soon came into use throughout the world. In 1865, Pasteur began to study the silkworm diseases that were crippling the silk industry in France. He discovered the infectious agents and revealed the manner in which these agents are transmitted--by contagion and hereditary principle -- and how to prevent them. Elaborating on his study of fermentation, he could now confirm that each disease is caused by a specific microbe and that these microbes are foreign elements. With this knowledge, Pasteur was able to establish the basic rules of sterilization or asepsis. Preventing contagion and infection, his method of sterilization revolutionized surgery and obstetrics. From 1877 to 1887, Pasteur employed these fundamentals of microbiology in the battle against infectious diseases. He went on to discover three bacteria responsible for human illnesses : staphylococcus, streptococcus and pneumococcus. discovered the method for the attenuation of virulent microorganisms that is the basis of vaccination. He developed vaccines against chicken cholera, anthrax and swine erysipelas. After mastering his method of vaccination, he applied this concept to rabies. On July 6, 1885, Pasteur tested his pioneering rabies treatment on man for the first time : the young Joseph Meister was saved. On March 1, 1886, Pasteur presented the results of his rabies treatment to the Academy of Sciences and called for the creation of a rabies vaccine center. An extensive, international public drive for funds financed the construction of the Pasteur Institute, a private, state-approved institute recognized by the President of France, Jules Grévy, in 1887 and inaugurated by his successor Sadi Carnot in 1888. In accordance with Pasteur's wishes, the Institute was founded as a clinic for rabies treatment, a research center for infectious disease and a teaching center. The 66-year-old scientist went on to dedicate the last seven years of his life to the Institute that still bears his name. During this period, Pasteur also came to know the joys of fame and was honored throughout the world with prestigious decorations. His work was continued and amplified throughout the world by his disciples, the Pasteuriens. "Do not put forward anything that you cannot prove by experimentation"
was a humanist, always working towards the improvement of the human condition. He was a free man who never hesitated to take issue with the prevailing yet false ideas of his time. He ascribed particular importance to the spread of knowledge and the applications of research. In the scientist's lifetime, Pasteurien theory and method were put into use well beyond the borders of France. Fully aware of the international importance of his work, Pasteur's disciples dispersed themselves wherever their assistance was needed. In 1891, the first Foreign Institut Pasteur was founded in Saigon (today Ho Chi Minh City, Vietnam) launching what was to become a vast international network of Instituts Pasteur. Because he changed the world forever, his homeland and the world have long considered him a benefactor of humanity. 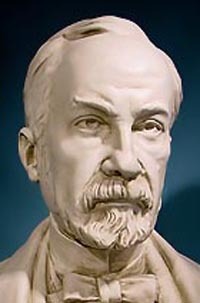 Saint-Cloud, Hauts-de-Seine, France ( December 27 1822 – September 28 1895) was a French microbiologist and chemist who advocated the germ theory of disease and developed techniques of inoculation. was born in Dole, Jura départementThe departements (or departments) are administrative units of France, roughly analogous to British counties and are now grouped into 22 metropolitan and four overseas regions''. They are subdivided into 342 arrondissements''. Departements are also found i, France, the son of a tanner. He was admitted in 1843 at the École Normale Supérieure in Paris and got a doctoral degree in 1846. He studied chemistry, but showed little promise at first (one of his professors described him as "mediocre"). Nevertheless, he became a scientist. In his early work as a chemist he resolved a problem concerning the nature of tartaric acid ( 1849). A solution of this compound derived from living things (specifically, wine lees) rotated the plane of polarization of light passing through it. The mystery was that tartaric acid derived by chemical synthesis had no such effect, even though its reactions were identical and its elemental composition was the same. Pasteur noticed, upon examination of the tiny crystals of tartaric acid, that the crystals came in two asymmetric forms that were mirror iimages of one another. Tediously sorting the crystals by hand gave two forms of tartaric acid: solutions of one form rotated polarised light clockwise, while the other form rotated light anticlockwise. An equal mix of the two had no effect on polarized light. Pasteur correctly deduced that the tartaric acid molecule was asymmetric and could exist in two different forms that resemble one another as a left- and right-hand glove resemble one another. As the first demonstration of chiral molecules, it was quite an achievement, but Pasteur then went on to his more famous work in the field of biology/medicine. His doctoral thesis on crystallography got him a position of professor of chemistry at the Faculté (College) of Strasbourg. In 1854, he was named Dean of the new College of Science in Lille. In 1857, he was made administrator and director of scientific studies of the École Normale Supérieure. He demonstrated that fermentation was caused by the growth of microorganisms, and that the growth of microorganisms in nutrient broths was not due to spontaneous generation. He exposed freshly boiled broths to air in vessels that contained a filter to prevent all particles from passing through to the growth medium and even in vessels with no filter at all, with air being admitted via a long tortuous tube that would not allow dust particles to pass. Nothing grew in the broths; therefore, the living organisms that grew in such broths came from outside, as spores on dust, rather than being spontaneously generated within the broth. Thus, Pasteur dealt the death blow to the theory of spontaneous generation and supported germ theory. did not develop germ theory; Girolamo Fracastoro, Friedrich Henle and others suggested it earlier. Pasteur conducted experiments that clearly indicated its correctness and managed to convince most of Europe that it was true. Pasteur's research also showed that some microorganisms contaminated the fermenting beverages. With this established, he invented a process in which liquids such as milk were heated to kill all bacteria and molds already present within them. 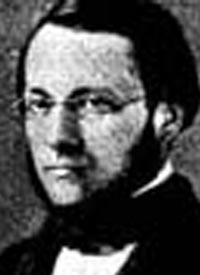 He and Claude Bernard completed the first test on April 20, 1862. This process was soon afterwards known as pasteurization. In 1865, Pasteur set out to help the silk industry. A disease called pebrine was killing great numbers of silkworms. He worked several years to prove that a microbe that attacks silkworm eggs causes the disease, and that eliminating this microbe in silkworm nurseries would wipe out the disease. His later work on diseases included work on chicken cholera. During this work, a culture of the responsible bacteria had spoiled and failed to induce the disease in some chickens he was infecting with the disease. Upon reusing these healthy chickens, Pasteur discovered that he could not infect them, even with fresh bacteria: the weakened bacteria had caused the chickens to become immune to the disease, although they had not actually caused the disease. In the 1870s he applied this immunization method to anthrax, which affected cattle, and aroused interest in combating other diseases. The notion of a weak form of a disease causing immunity to the virulent version was not new: this had been known for a long time for smallpox. Inoculation with smallpox was known to result in far less scarring and greatly reduced mortality than with the naturally acquired disease. Edward Jenner had also discovered vaccination, using cowpox to give cross-immunity to smallpox, and by Pasteur's time this had generally replaced the use of actual smallpox material in inoculation. The difference with chicken cholera and anthrax was that the weakened form of the disease organism had been generated artificially, and so a naturally weak form of the disease organism did not need to be found. This discovery revolutionised work in infectious diseases, and Pasteur gave these artificially weakened diseases the generic name of vaccines, to honour Jenner's discovery. Pasteur produced the first vaccine for rabies, which was first used on 9-year old Joseph Meister on July 6, 1885 after the boy was badly mauled by a rabid dog. This was done at some personal risk for Pasteur, since he was not a licensed physician and could have faced prosecution for treating the boy. Fortunately, the treatment proved to be a spectacular success, with Meister avoiding the disease. So Pasteur was hailed as a hero and the legal matter was not pursued. The treatment's success laid the foundations for the manufacture of many other vaccines. 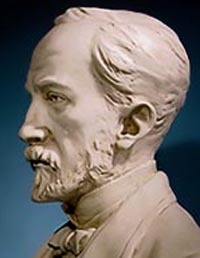 The first of the Pasteur Institutes was also built on the basis of this achievement. Pasteur also discovered anaerobiosis - that some microorganisms can develop and live without air or oxygen. He won the Leeuwenhoek medal, microbiology's highest honor, in 1895. Pasteur died in 1895 near Paris from complications caused by a series of strokes that had begun plaguing him as far back as 1868. He was buried in the Cathedral of Notre Dame, but his remains were soon placed in a crypt in the Institut Pasteur, Paris. Pasteur's method of immunization was effective and was employed by many other physicians, leading to the eradication of the diseases typhus and polio as threats. Pasteurization led to the elimination of contaminated milk and other drinks as sources of disease. In fact, Pasteur inaugurated the modern age of medicine, leading to an increase in the human life span in much of the (wealthy) world and a surprising population explosion. Accordingly, he has been hailed as the "Father of Medicine" and a "Benefactor of Humanity." Craters on Mars and the Moon are named in his honor. 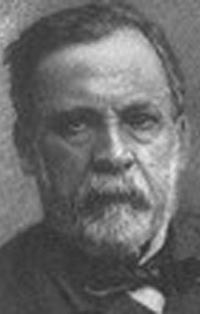 In popular culture, Pasteur is the eponymous French scientist, his name appearing in science fiction shows like Star Trek. We need no reminder that the foundations of our knowledge of health and disease were constructed by scientific giants who worked decades, even centuries, ago. It is with tributes such as the one today to that we pay homage to these great minds -- to acknowledge their achievements and our indebtedness to them which we can never repay. With certainty, one hallmark of Pasteur's research was not only the importance of his individual discoveries, but the overwhelming breadth of his accomplishment. Pasteur's long time collaborator, Emile Duclaux, wrote, "A mind ... of a scientific man is a bird on the wing; we see it only when it alights or when it takes flight. ... We may by watching closely keep it in view, and point out just where it touches the earth. But why does it alight here and not there? Why has it taken this direction and not that in its flight toward new discoveries?" Pasteur, himself, provided us with an answer: He believed that his research was "enchained" to an inescapable, forward moving logic. As we review today Pasteur's scientific discoveries we shall see the truth of this statement: how one discovery, one concept, led almost "inescapably" to another. Pasteur was born in Ole and grew up in the nearby town of Arbois, the only son of a poorly educated tanner, Jean Pasteur. Louis was not an outstanding student during his years of elementary education, preferring fishing and drawing to other subjects. In fact, young Louis drawings suggested that he could easily have become a superior portrait Artist. His later drawings of friends done at college were so professional that Pasteur was listed in at least two compendia of XIX C. artists. 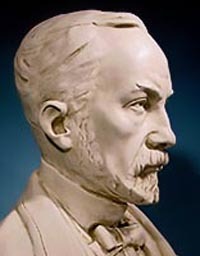 The Senior Pasteur, however, did not see his son ending up as an Artist, and Louis, himself, was showing increasing interest in chemistry and other scientific subjects. The highest wish Father Pasteur had for his son was that he complete his education in the local schools and become a professor in the college at Arbois. However the headmaster of the college recognized that Louis could do much better and convinced father and son that Louis should try for the Ecole Normale Sup rieure in Paris. This most prestigious French University was founded specifically to train outstanding students for University careers in science and letters. And it was here that Pasteur entered and began his long journey of scientific discovery. It may surprise some to learn that Pasteur, the father of microbiology and immunology, was a chemist who launched his memorable scientific career by studying the shapes of organic crystals. Pasteur was 26 years old, working for his doctorate in chemistry in the laboratory of Antoine Balard. Crystallography was just emerging as a branch of chemistry. His project was to crystallize a number of different compounds. Happily he started working with tartaric acid. Crystals of this organic acid are present in large amounts in the sediments of fermenting wine. Often one also found in the sediments in the wine barrels crystals of a second acid called paratartaric acid or "racemic acid". A few years earlier, the chemical compositions of these two acids, tartaric and paratartaric, had been determined. They were identical. But in solution there was a striking difference. Whereas tartaric acid rotated a beam of polarized light passing through it to the right, paratartaric acid did not rotate the light. This puzzled the young Pasteur. How could this be? Pasteur refused to accept the notion that two compounds that had the same chemical composition yet acted so differently in respect to rotation of light could be identical. He was convinced that the internal structure of the two compounds must be different and this difference would show itself in the crystal form. The experts in this field had looked examined tartrate and paratartrate crystals but never saw a difference, perhaps because, as Duclaux thought, they believed that no difference could exist. Pasteur believed that there were differences and indeed found them! Upon intense examination beneath his microscope, he saw that every crystal of pure tartaric acid looked like every other one. When he examined the paratartrate crystals, on the other hand, he saw two types of crystals, nearly identical but not quite! One type was the mirror image the other -- the way the right hand mirrors the left hand. This was the difference he was looking for! Pasteur then performed one of the simplest and yet most elegant experiments in the annals of chemistry. With a dissecting needle and his microscope, he separated the left and right crystal shapes from each other to form two piles of crystals. He then showed that in solution one form rotated light to the left, the other to the right. This simple experiment proved that the organic molecules with the same chemical composition can exist in space in unique stereospecific forms. And with this work did Pasteur launch the new science of stereochemistry. To Pasteur this discovery had a deeper meaning. He proposed that asymmetrical molecules were indicative of living processes. In the broadest sense, he was correct. We know today that all of the proteins of higher animals are made up of only those amino acids that exist in the left-hand form. The mirror image right-hand amino acids are not used by human or animal cells. Likewise, our cells burn only the right-handed form of sugar, not the left-handed form that can be made in the test tube. It was the discovery of asymmetry of organic molecules that provided Pasteur with the "inescapable forward moving logic" that enchained him as he began his studies on alcoholic fermentation. Pasteur served on the faculty of science of Dijon for a brief period and then was transferred to Strasbourg University where he continued his studies on molecular asymmetry. In Strasbourg, Pasteur had the immense good fortune to meet and marry the University Rector's daughter Marie Laurent, who was to be his devoted wife, mother and scientific helpmate through the remainder of his life. In 1854 Pasteur was appointed Dean and professor of chemistry at the Faculty of Sciences in Lille, France. Lille was an industrial town with a number of distilleries and factories. The Minister of Public Instruction was not completely sold on "science for science's sake". He reminded university faculty that (and here I quote the Minister's words) "whilst keeping up with scientific theory, you should, in order to produce useful and far reaching results, appropriate to yourselves the special applications suitable to the real wants of the surrounding country." Pasteur, in contrast to other faculty, needed no prodding. He enjoyed taking his students on tours of the factories and was quick to advise the managers that he was available to help solve their problems. In the summer of 1856, M. Bigot, father of one of his students in chemistry, called upon Pasteur to help him overcome difficulties he was having manufacturing alcohol by fermentation of beetroot. Often, instead of alcohol, Bigot's fermentations yielded lactic acid. To better appreciate the discoveries to follow, we should understand what was believed at that time about alcoholic fermentation. Chemistry was emerging as a true science, freed from the pseudoscience of the alchemist. The mysterious chemical processes of living animals were slowly being unraveled in strictly chemical terms. Lavoisier had shown that chemical combustion in living animals was quantitatively identical to that occurring in a furnace. Lavoisier also showed that sugar, the starting product of fermentation, could be broken down to alcohol, CO2 and H2O by simply dropping a sugar solution on heated platinum. Woehler startled the scientific world by sythesizing the organic compound urea, showing for the first time that organic compounds, believed up to then as capable of synthesis only by living animals could be made in a test tube. And due, in no small part to Pasteur's work on crystals, internal structure and analysis of complex organic compounds was becoming routine. In this light, fermentation leading to production of wine, beer and vinegar was believed to be a straightforward chemical breakdown of sugar to the desired molecules. The chemical experts of the day proclaimed that the breakdown of sugar into alcohol during fermentation of sugar to wine and beer was due to the presence of inherent unstabilizing vibrations. One could transfer these unstabilizing vibrations from a vat of finished wine to new grape pressings to start fermentation anew. Yeast cells were found in the fermenting vats of wine, and were recognized as being live organisms, but they were believed simply to be either a product of fermentation or catalytic agents that provided useful ingredients for fermentation to proceed. Those few biologists who earlier concluded that yeast was the cause of, and not the product of, fermentation were ridiculed by the scientific experts: The deep conviction of the scientific establishment was that chemistry had come too far to allow a vitalistic life force theory to challenge pure chemical explanations of molecular reaction. To attribute such chemical changes to mysterious life forces would represent a major backward step in science!. Unfortunately, the "scientific establishment" was not providing much help to the brewers of wine, beer and vinegar. These manufacturers were plagued by serious economic problems related to their fermentations. Yields of alcohol might suddenly fall off; wine might unexpectedly grow ropy or sour or turn to vinegar; vinegar, when desired, might not be formed and lactic acid might appear in its place; the quality and taste of beer might unexpectedly change making quality control a nightmare! All too often the producers would be forced to throw out the resultant batches, start anew, and sadly have no better luck! Into M. Bigot's factory, microscope in hand, came Pasteur. He quickly found three clues that allowed him to solve the puzzle of alcoholic fermentation. First, when alcohol was produced normally, the yeast cells were plump and budding. But when lactic acid would form instead of alcohol, small rod like microbes were always mixed with the yeast cells. Second, analysis of the batches of alcohol showed that amyl alcohol and other complex organic compounds were being formed during the fermentation. This could not be explained by the simple catalytic breakdown of sugar shown by Lavoisier. Some additional processes must be involved. Third, and this may have been the critical clue to Pasteur, some of these compounds rotated light, that is they were asymmetric. As we said earlier, Pasteur suspected that only living cells produced asymmetrical compounds. He concluded and was able to prove that living cells, the yeast, were responsible for forming alcohol from sugar, and that contaminating microorganisms turned the fermentations sour! Over the next several years Pasteur identified and isolated the specific microorganisms responsible for normal and abnormal fermentations in production of wine, beer, vinegar. He showed that if he heated wine, beer, milk to moderately high temperatures for a few minutes, he could kill living microorganism and thereby sterilize (pasteurize), the batches and prevent their degradation. If pure cultures of microbes and yeasts were added to sterile mashes uniform, predictable fermentations would follow. In the midst of the great excitement and controversy created by Pasteur's research on fermentation, a debate was ongoing in the scientific world on the theory of "spontaneous generation". The idea that beetles, eels, maggots and now microbes could arise spontaneously' from putrefying matter was speculated on from Greek and Roman times. And in the 1860's spontaneous generation was still a subject of debate in the exalted French Academy of Sciences. Against the advice of his colleagues, who saw dabbling in this field as thankless and unrewarding, Pasteur entered the fray. Based on his work on fermentation it seemed obvious to him that the sources of yeasts and other microorganisms that were found during fermentation and putrefaction entered from the outside, for example, on the dust of the air. Pasteur conducted a series of ingenious experiments that destroyed every argument supporting "spontaneous generation". He showed that the skin of grapes towards the beginning of grape harvest was the source of the yeast. Drawing grape juice from under the skin with sterile needles gave juice that would not ferment. Covering the grape arbors with fine cloth or wrapping the grapes with cotton to keep off contaminating dust, gave grapes that would not produce wine. In order to show that dust of the air was the carrier of contamination, he allowed air collected at different altitudes, from sea level to mountain tops, to enter sterilized vessels containing fermentable solutions. The higher the altitude the less the dust in the air and the fewer flasks showed growth. The experimental design that clinched the argument was the use of the swan-neck flask. In this experiment, fermentable juice was placed in a flask and after sterilization the neck was heated and drawn out as a thin tube taking a gentle downward then upward arc -- resembling the neck of a swan. The end of neck was then sealed. As long as it was sealed, the contents remained unchanged. If the the flask was opened by nipping off the end of the neck, air entered but dust was trapped on the wet walls of the neck. Under this condition, the fluid would remain forever sterile, showing that air alone could not trigger growth of microorganisms. If, however, the flask was tipped to allow the sterile liquid to touch the contaminated walls and this liquid was then returned to the broth, growth of microorganisms immediately began. In the words of Pasteur "Never will the doctrine of spontaneous generation recover from the mortal blow of this simple experiment. No, there is now no circumstance known in which it can be affirmed that microscopic beings came into the world without germs, without parents similar to themselves." As if Pasteur was not busy enough with his studies on fermentation and spontaneous generation, hE was asked by the Department of Agriculture to head a commission to see what could be learned about a devastating disease of silkworks that was destroying the French silk industry. Even though Pasteur knew nothing of silkworms and had no idea that they suffered from disease, his research on silkworms forged another link in his "inevitable" chain of discovery. Now there were at least two different types of silkworm diseases that Pasteur came to grips with: Pebrine, in which black spots and corpuscles are generally, but not always, present on the worm. In such cases the worms often die within the cocoons . In the second type of disease, flacherie, the worms exhibit no corpuscles or spots but fail to spin cocoons. Pasteur suspected, but was not sure, that pebrine corpuscles were associated with the failure of the worms. Nonetheless, by examining the worms under the microscope he was able to identify those free of pebrine and used only their eggs for breeding. Next he excluded from breeding eggs from worms with flacherie whom he identified by their sluggish behavior in climbing leaves when about to construct cocoons. He instructed the silkworm farmers on these methods of selection and how to use the microscope to detect sickness in the worms. Soon the silk industry in France, Italy and other European countries returned to health. Pasteur considered these studies important landmarks in his investigations on infection and infectious disease. As he expanded his research, he found that healthy worms became infected when allowed to nest on leaves used by infected worms. He also noted that the susceptibility of the worms varied widely, some worms dying shortly after infection, some weeks later, some not at all. He determined that temperature, humidity, ventilation, quality of the food, sanitation and adequate separation of the broods of newly hatched worms each played a role in susceptibility to the disease. So here from Pasteur's research we see the emergence of his future concepts of the influence of environment on contagion. The crowning achievements of Pasteur's career were development of the germ theory of disease and the use of vaccines to prevent these diseases. Pasteur's studies on contamination of wine and beer by airborne yeast clearly stimulated certain investigators to recognize that these "diseases" were due to entry of foreign microorganisms. Lister in England was so impressed by Pasteur's work that he began to systematically sterilize his instruments, bandages and sprayed phenol solutions in his operatories thus reducing infections following surgery to incredibly low numbers. By 1875 many physicians recognized that some diseases were accompanied by specific microorganisms, but the body of medical opinion was unwilling to concede that important diseases --cholera, diptheria, scarlet fever, childbirth fever, syphilis, smallpox - could ever be caused by these agents. To give you an idea of the magnitude of the problem, according to Pasteur's biographer son-in-law Vallery-Radot between April 1 and May 10, 1856, in the Paris Maternity Hospital there were 64 fatalities due to childbirth fever out of 347 confinements. The hospital was closed and the patients were transferred to a different hospital. Sadly, the contagion followed these women and nearly all of them died! As Pasteur wandered through hospital wards he became increasingly aware that infection was spread by physicians and hospital attendants from sick to healthy patients. Pasteur impressed on his physician colleagues that avoidance of microbes meant avoidance of infection. In a famous speech before the august Academy of Medicine in Paris he stated, "This water, this sponge, this lint with which you wash or cover a wound, may deposit germs which have the power of multiplying rapidly within the tissue....If I had the honor of being a surgeon....not only would I use none but perfectly clean instruments, but I would clean my hands with the greatest care...I would us only lint, bandages and sponges previously exposed to a temperature of 1300 to 1500 degrees. Slowly, but surely, through the preachings of Pasteur, Lister and other physicians antiseptic medicine and surgery became the rule. At this time, anthrax, a fatal disease of sheep and cattle, was decimating the sheep industry and the economy of France. Important strides in identifying the causative agent of anthrax had been made by the time Pasteur entered the arena. The great German physician/scientist Robert Koch, isolated the anthrax bacillus, previously identified by the French physician Davain, from infected spleens and showed that under resting conditions the bacillus formed long-lived spores. Definitive proof was still lacking that the cultured bacillus, itself, and not something carried along in Koch's culture medium was responsible to giving injected animals anthrax. Pasteur provided this proof. As described by Dubos, Pasteur placed one drop of blood from a sheep dying of anthrax into 50 ml of sterile culture, grew up the bacterium, and then repeated this process 100 times. This represented a huge dilution of the original culture so that not a single molecule of the original culture remained in the final culture. Yet, the last culture was as active as the first in producing anthrax. As only the bacillus, itself, by growing up each time in the new culture, could escape dilution, it proved beyond all doubt that the anthrax bacillus and nothing else could be responsible for the disease. Thus was the germ theory of disease firmly established! But how did the disease spread? Why was one field deadly to sheep, another harmless? Here Pasteur's studies on silkworm contagion provided the clue. During one of Pasteur's excursions to a field where sheep were grazing he noted that the ground in one part of the field was differently colored than the rest. There it was that the farmer had buried some sheep dead of anthrax. The color of the soil was due to earth worm casts. He realized that earth worms were feeding on the carcasses of the buried sheep and bringing the anthrax spores to the surface where other sheep could graze on the contaminated soil. Although containment of the animals on uncontaminated fields would help control the spread of anthrax, more was needed. Interestingly, Pasteur's studies on chicken cholera going on at this time provided the breakthrough that led to development of specific vaccines to fight disease. Cholera was a serious problem for farmers. Chicken cholera would spread through a barnyard rapidly and wipe out the entire flock in as little as 3 days. Spread could be by contaminated food or animal excrements. Pasteur had identified the cholera bacillus and was growing it in pure culture. When injected, chicken invariably died in 48 hours. Then luck intervened. During the heat of the summer, Pasteur returned to Paris leaving the cholera cultures used for infection stored on the shelves of the Arbois laboratory. Upon return, Pasteur's collaborators were disappointed to find that these stored cultures no longer killed injected chickens, nor even made them sick. The group set to work to make new cultures of the bacillus and tested these batches on new birds and those healthy previously treated birds. The results were astonishing: The previously injected birds were unaffected by the bacillus, while the new birds all died. When Pasteur saw these results he immediately realized that in a sense he was repeating the studies of Jenner 80 years earlier who had conferred on humans immunity to smallpox by vaccinating individuals with a mild form of cowpox. Pasteur then reproducibly manufactured attenuated cultures of chicken cholera vaccines and could routinely prevent cholera in the vaccinated chickens. If attenuated cholera bacillus could render chickens resistant to the disease, would not an attenuated anthrax bacillus render sheep immune to anthrax? By various techniques involving oxidation and aging, anthrax vaccines indeed prevented anthrax in laboratory trials. Pasteur's reports on preventing sheep anthrax were so exciting to some and unbelievable to many, that he was challenged by the well-known veterinarian Rossignol to conduct a carefully controlled public test of his anthrax vaccine. This was to take place at Pouilly le Fort, a farm in the town of Melun south of Paris. Twenty-five sheep were to be controls, the other twenty-five were to be vaccinated by Pasteur and then all animals would receive a lethal dose of anthrax. All of the control sheep must die and the vaccinated sheep must live. When Pasteur's colleagues learned that he had agreed to the test they were concerned. The challenge was severe and there was no room for error. The vaccines were still in the developmental stage. "What succeeded with 14 sheep in our laboratory will succeed with 50 at Melun", said Pasteur. The publicity was intense. A reporter from the London Times sent back daily dispatches. Newspapers in France followed the events with daily bulletins. There were crowds of onlookers, farmers, engineers, veterinarians, physicians, scientists and a carnival atmosphere. Would Pasteur's claims of vaccination hold up? Even Pasteur was privately concerned that he had acted impetuously in accepting the challenge. Happily, the trial was a complete success -- indeed, a triumph! Two days after final inoculation (May 5, 1882), every one of 25 control sheep was dead and every one of the 25 vaccinated sheep was alive and healthy. The fame of Pasteur and these experiments spread throughout France, Europe and beyond. It was, says Duclaux, "the anthrax vaccine that spread through the public mind faith in the science of microbes". Within 10 years a total of 3.5 M sheep and a half M cattle had been vaccinated with a mortality of less than 1%. The immediate savings to the French economy were enormous, at least 7 M francs, estimated to be enough to cover the reparations that France was required to pay to Prussia for the loss of the Franco-Prussian War in 1880. Supported by the successes with anthrax and fowl cholera diseases, Pasteur identified and isolated over the next 2-3 years the microbes for many other diseases including swine erysipelas, childbirth fever and pneumonia. The final and certainly most famous success of Pasteur's research was the development of a vaccine against rabies or hydrophobia as it is also known. The disease has always had a hold on the public imagination and has been looked upon with horror. It evokes visions of "raging victims, bound and howling, or asphyxiated between two mattresses" (Duclaux). The treatments applied to victims were as horrible as the supposed symptoms: this included cauterizing the bite wounds with a red-hot poker. Actually very few persons die in any year from being bitten by a rabid dog or wolf. The symptoms of the disease are variable: onset may take weeks to months to develop if they develop at all. Nonetheless, Pasteur and his colleague Roux realized that conquest of rabies would be recognized as a great achievement to the world of science and to the public at large. Pasteur and Roux initially attempted to transfer infection by injecting healthy dogs with saliva from rabid animals. The results were variable and unpredictable. Later, recognizing that the active agent was in the spinal cord and brain, and because they were unable to detect a specific rabic microorganism, Pasteur and Roux applied extracts of rabid spinal cord directly to the brain of dogs. With this technique they could reproducibly produce rabies in the test animals in a few days. The goal was next to develop a vaccine that would provide protection to the subject before the rabic agent moved from the bite site to the spinal cord to the brain. This was achieved by injecting into test animals suspensions of spinal cord of rabid rabbits that were attenuated in strength by air drying over a 12-day period in the now-famous Roux Bottle. A strip of spinal cord was suspended from a hanger in the center of the bottle containing a hole at the top of the bottle and one on the lower side. Air entered from the bottom opening, passed over a drying agent and exited from the top. The longer the cord was dried, the less potent was the tissue in producing rabies. The treatment plan used to develop immunity to rabies was to inject under skin of a dog the least potent preparation of minced spinal cord, followed every day for the next 12 days with a stronger and stronger extract. At the end of this time, the animal was completely resistant to bites of rabid dogs and failed to develop rabies if the most potent extracts were applied directly to the brain. Following confirmation of his reports in 1885 that he had made dogs refractory to rabies by vaccination, Pasteur received wide acclaim and much favorable publicity. But why not use the vaccine on humans? Frankly, Pasteur was terribly afraid of things going wrong and he was particularly uneasy about being unable to isolate the rabic substance. And so he continued to insist that many years of additional research was necessary before the treatment could be tried on humans. But the press of events made him act sooner. On July 6, 1886, 9 year old Joseph Meister and his mother appeared at Pasteur's laboratory. Two days earlier the young boy had been bitten repeatedly by a rabid dog. He was so badly mauled that he could hardly walk. His mother appealed to Pasteur to treat her son. At the time Pasteur had treated about 40 dogs, most of whom resisted rabies. Could he risk treating this youth who faced certain death? Pasteur, after consultation with physician colleagues, and much trepidation treated the youth. 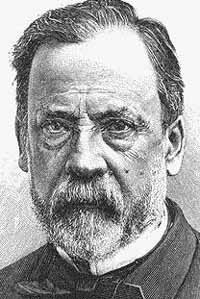 Despite Pasteur's fears, Meister made a perfect recovery and remained in fine health for the remainder of his life. A few months later a second victim turned up. He was a young shepherd also bitten by a mad dog. Following reports of his successful treatments, the wild acclaim for Pasteur knew no bounds! Victims of dog and wolf bites from France, Russia, the United States poured into his laboratory for treatment. The newspapers and public followed these treatments and cures with intense interest. Pasteur became a hero and a legend. The Pasteur Institute funded by public and governmental subscriptions was built in Paris initially to treat victims of rabies who were coming to Pasteur's laboratory in increasing numbers. Later, Pasteur Institutes were built, including 3 in the United States, to deal with human rabies and other diseases. Rabies was the last major research of the master scientist. His health was failing and a paralysis of his left side from a serious stroke he suffered in his 46th year made his working in the laboratory increasingly difficult. Pasteur died in 1895 after suffering additional strokes. He was buried, a national hero, by the French Government. His funeral was attended by thousands of people. His remains, initially interred in the Cathedral of Notre Dame, was transferred to a permanent crypt in the Pasteur Institute, Paris. In a tragic footnote to history, Joseph Meister, the first person publicly to receive the rabies vaccine, returned to the Pasteur Institute as an employee where he served for many years as Gatekeeper. In 1940, 45 years after his treatment for rabies that made medical history, he was ordered by the German occupiers of Paris to open Pasteur's crypt. Rather than comply, Joseph Meister committed suicide!